Teeth that are misaligned or have bite abnormalities need to be corrected in order to reduce premature or uneven wear, promote dental hygiene and improve the overall appearance. Your orthodontic options may include traditional braces or Invisalign. Because there are significant differences between the two procedures, our West Hollywood dentist can help you understand which treatment will best meet your needs and goals. Invisalign aligners are mouth trays that can be removed when needed to eat, drink, brush or floss your teeth. Metal braces cannot. The brackets are permanently bonded to your teeth, which means you will need to use special tools to clean your teeth, and you may need to avoid certain foods or treats in order to protect your braces. Traditional braces can be used to produce a wide range of tooth movements and therefore can correct numerous orthodontic problems. 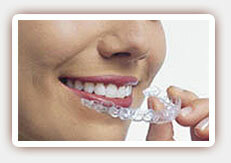 Invisalign can be used to treat moderate misalignments. However, some orthodontists may be able to use a combination of braces and Invisalign to complete the necessary movements with your preferred treatment. Costs vary widely. Although Invisalign may cost more, you can often have straight teeth in a shorter amount of time and without the discomfort of metal. Most dental insurers that cover orthodontic treatment also cover Invisalign. Traditional braces can also be expensive, however, particularly when tooth-colored brackets are chosen or when additional orthodontic treatments are needed. If you have misaligned teeth, we can help. We offer several treatment options that can help you achieve a straighter, healthier smile with less discomfort. 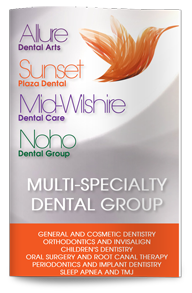 Contact us today to learn more or to schedule a consultation with our West Hollywood Invisalign provider.